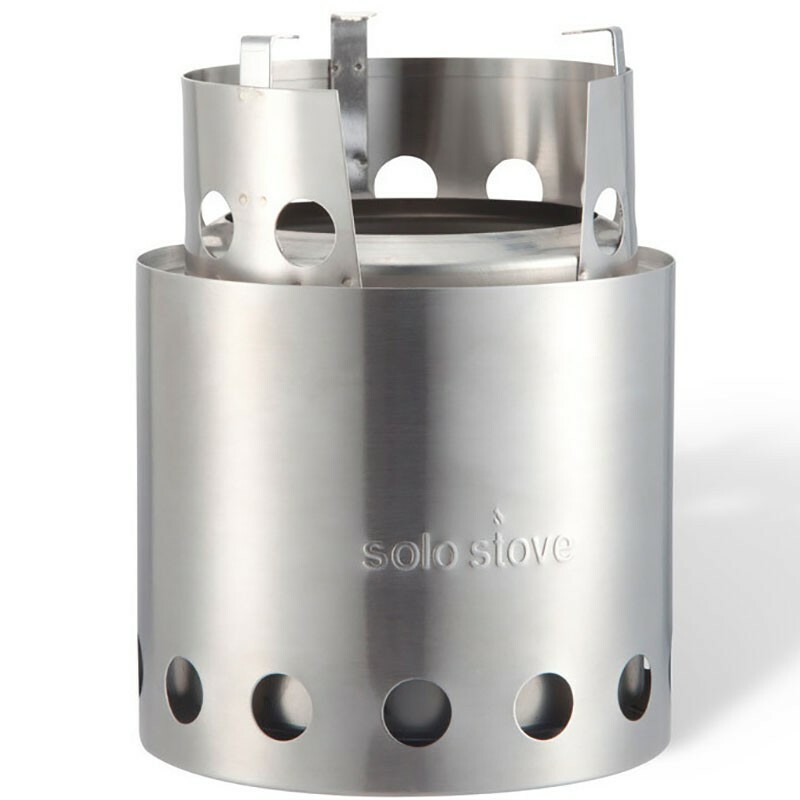 A lightweight and highly efficient wood burning stove, the Solo Stove Lite is a double wall natural convection inverted downgas gasifier stove, that burns wood more completely than an open camp fire. It doesn't just burn wood, it even burns the smoke! The Solo Stove Lite is an ideal stove for cooking for 1-2 people, and will nestle inside the Solo Stove Pot 900 (available separately). If you're camping in wooded areas it's a no-brainer really. Burning gas or liquid fuels can be expensive, and needlessly heavy to carry when you're surrounded by carbon-neutral, natural fuel!